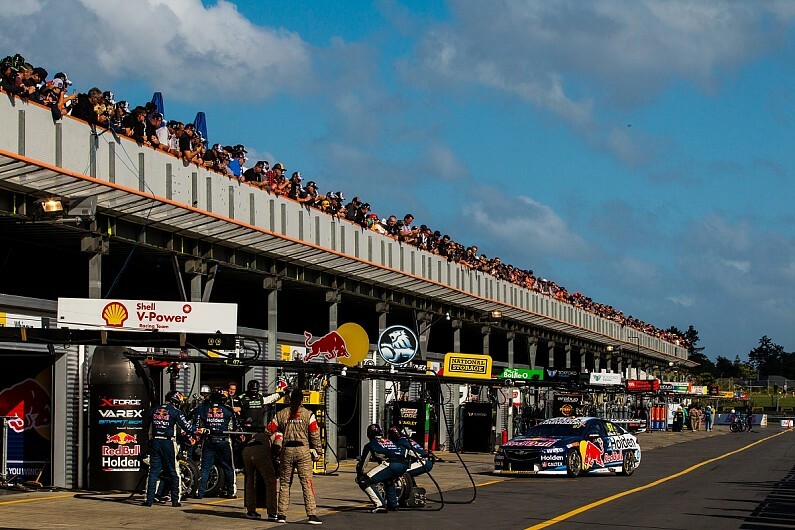 DJR Team Penske’s protest against the decision not to penalise Shane van Gisbergen at Pukekohe sets a precedent Supercars team should avoid, says Triple Eight team manager Mark Dutton. 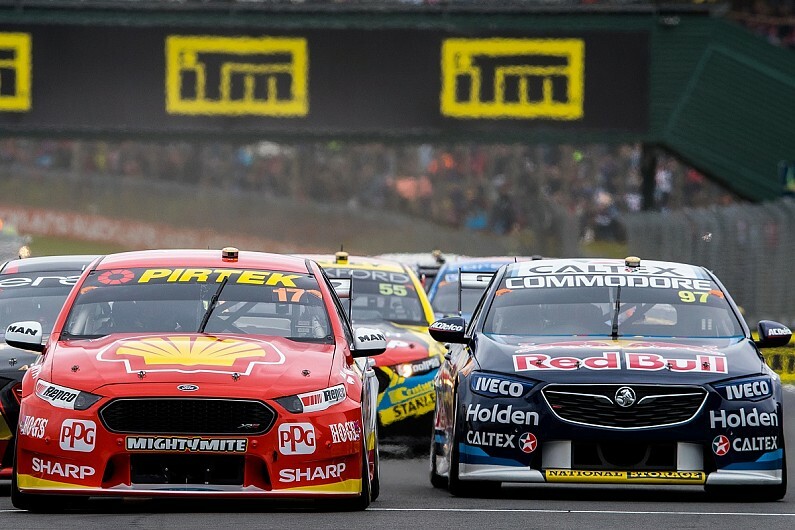 Amid a tense title fight between van Gisbergen and Scott McLaughlin, the two teams clashed at Pukekohe last weekend over a decision from the deputy race director not to hand van Gisbergen a drivethrough penalty for wheel-spinning during a pitstop. A post-race investigation still found van Gisbergen not guilty, which led Penske to protest the DRD’s decision. Triple Eight team manager Dutton was not impressed that the protest, which was ultimately unsuccessful, happened in the first place. “I was actually a little bit surprised the team chose to protest it,” said Dutton. “As far as I know, and I could be wrong, it’s the first time [a protest] for a non-technical regulation that didn’t involve that team’s car has happened. “They’re not the type of precedents you want to set. “There’s all these little rules in the rulebook – [wheel-spinning is] not a little one by the way – that you can dob on each other and sometimes a penalty is a drivethrough. “I could name three [infractions] our direct opposition did this weekend, two of them were a drivethrough and one was a disqualification from part of the weekend. “But that’s dirty pool, we played it clean. “We try and just go fast on track, do the best pitstops you can, and not worry about some of those rules. It just becomes the wrong culture if you encourage them. Penske’s protest at Pukekohe fell down based on Triple Eight arguing the clutch was not engaged during the stop, and that there was a precedent for wriggle room on movement less than a full rotation. While not a universally popular outcome, Dutton said he felt it was the right decision in terms of consistency. “All we ask for with those type of rules – team managers, owners, everyone says the same thing – is consistency,” he said. “Consistency was applied. People chose to question that. Penske’s managing director Ryan Story admitted he did not expect the protest to be successful. Speaking to the Fox Sports Motorsport podcast, he explained that the protest was to try and clarify what is and is not allowed. “I didn’t expect that we would be successful with our protest but I thought it was important to effectively test the result and the response,” he said. “What concerned me was the evidence that was submitted indicating the precedent of not completing a full revolution, not being a penalty all related to David [Reynolds] at Bathurst and Adelaide. “We found an incident from 2015 where less than a revolution was completed and it was a penalty and another one from ’17. “And we found one particularly interesting one from Darwin in 2013 that involved Triple Eight and then Dutton getting on television and saying, ‘It was less than a revolution, but them’s the rules, the wheels can’t move and that’s what a penalty is’. “It is what it is and we’ll move on from it.